IPL 2016: How to watch IPL 2016 cricket matches live on television, mobile and online in the UK and abroad. 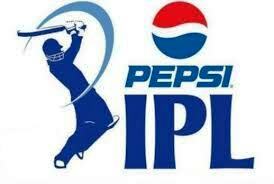 Eight teams battle for the IPL trophy in the ninth edition of the tournament. The ninth edition of the Indian Premier League set to begin on April 9 and end on May 29 and is expected to enjoy the live action of IPL by all the cricket fans in India and around the world. The IPL entertainment factor is not limited to the cricket field, but also outside. It is a competition of any age or gender, along with people from all walks of life coming together to support their teams and favorite players. This edition will see two new participants Rising supergiants of Pune and Gujarat lions, replaces Chennai Super Kings and suspended Rajasthan Royals. The opening ceremony of the tournament will take place on April 8, with the first match between defending champions Mumbai Indians and newcomers Rising supergiants Pune. The games are set to be telecasted live on television, mobile and online streaming. Find out how you can watch live 2016 in the UK and abroad. Here is a list of the official television that will telecast live IPL 2016 worldwide. The IPL matches starting time will be are 11:30 am BST and 03:30 PM BST. TV coverage of IPL games will be available live on Sky Sports 3 and Sky Sports 3 HD. Live TV coverage will be available on Sony Max, Sony Six and Sony ESPN.